Snel.com is a Dutch hosting company based in Schiedam the Netherlands. The word “Snel” means “Fast” in English. This aptly named company was founded back in 2010 with a simple aim to “make Dedicated and VPS hosting fast and simple”. They certainly succeeded in their mission, by creating a feature rich and automated cloud hosting service that saves their customers a tonne of time and money. Over the past 8 years, Snel has seen rapid growth and blossomed from humble beginnings to a well-known Dutch web host. The close-knit team is super passionate about “making server management easy for everyone”. Although Snel is just 8 years in, the team behind Snel are extremely experienced and have 18 years experience in the hosting industry. They continually evolve their products and services to ensure that their customers get a seamless top-tier hosting experience. Snel offers a comprehensive suite of hosting packages that will allow you to do just about anything you want on the world wide web. Snel offers super friendly customer support. They see their clients as their friends, rather than merely customers. They aim to make working with them super easy and provide blazingly fast hosting services to suit any size of business. Snel wants to make the hosting process super-duper simple so that their customers can focus on running their business. Secure in the knowledge that their hosting is well and truly taken care of. Their website description is “Your friendly Dedicated and VPS hosting provider” and they are certainly that! Snel is a laid back and friendly, yet talented web host that takes great care of their customers. Even at first glance, their site speaks of a very approachable, down to earth brand that you can trust! You can get in touch with Snel in a multitude of ways. Such as live chat, phone, and email. When I got in touch with them, their live chat operator responded instantly, which was really awesome! Although based in the Netherlands, the operator explained everything to me clearly in English. 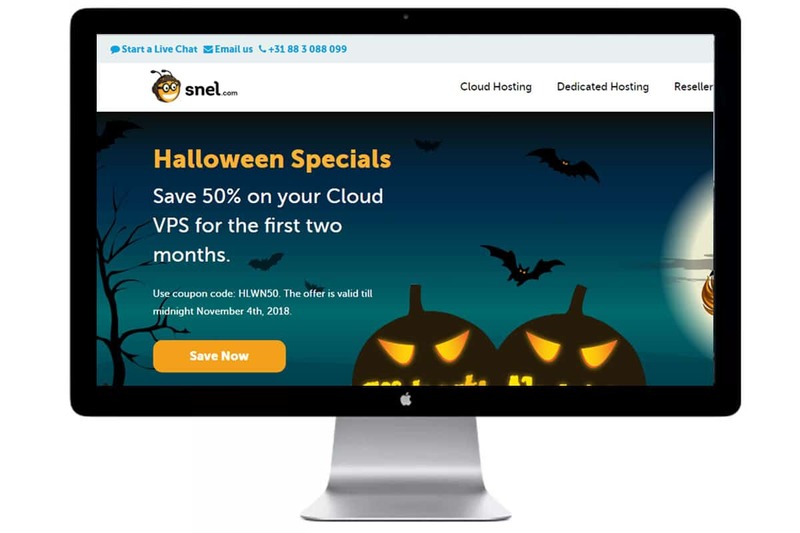 As I write this article Snel is offering a massive 50% Halloween discount, so hurry and take advantage of that great offer. Snel employs writers to create comprehensive tutorials that help their users smoothly navigate their platform. These in-depth articles form the comprehensive “Support Portal”, where users can quickly access detailed tutorials on how to do just about anything on their platform. Snel has a brilliant service where you can hire them to jump on and help you with anything from Operating System or Database support to support for web apps like WordPress. They offer several levels of “pay as you need” support. The fastest level of service is 119 Euro for an hour and they will get onto the job within 4 hours. For someone who is not a server administrator or a web developer, I really appreciate this type of service. It gives the customer complete confidence that they can get support should they run into any technical difficulties at any point. Techie stuff can get quite frustrating when you don’t know what buttons to press or what symbol is needed to get everything running smoothly. Having an expert available on demand gives Snel customers a huge advantage. With Snel “Pay As You Need Service”, you can instantly request professional technical support when you need it most. Snel has their own dedicated data center in Rotterdam in the Netherlands. Their “green” data center is housed in SmartDC to make sure that their servers are up and running 24hours a day, 7 days a week. They deploy thorough security measures to ensure the server environment is always clean and climate controlled, ensuring that all servers are always safe and protected from fire, water or overheating. Furthermore, the Snel data center is monitored 24/7 by CCTV coverage and on-site security staff and protected by automated alarm systems. Snel protects our world by taking measures to provide eco-friendly/ green hosting. They use 100% renewable, locally sourced energy as well as deploying a variety of innovative auto cooling and energy efficiency systems to maximize their resources. Their PUE (Power Usage Effectiveness) ratings are extremely low, coming in at below 1.15. To put that in perspective, a PUE rating of 3.0 indicates a “very ineffective” power usage and a PUE rating of 1.2 is considered “very efficient”. Therefore Snel’s rating tells us that they have gone the extra mile to conserve energy and use it wisely to protect the environment. True to their word, Snel keep things easy every step of the way. Their hosting packages are clearly split into 3 key areas, as follows: Cloud Hosting, Dedicated Hosting, and Resellers. Drilling down on these areas you can find just about every type of cutting-edge hosting package and feature available. They don’t provide shared hosting, but their Cloud VPS services are very reasonably priced (especially when you apply the generous 50% discount they are currently offering). Let’s dive in and check out the hosting packages that Snel has to offer. With every area of the Snel website, they use fun, real-life stories to explain their services. I love this approach as it makes the sometimes dry and complex tech business fun again – as it should be! You can order dedicated servers from Snel and choose from a fully managed server with a Snel Captain sailing your ship. Or you can order a fully customizable dedicated server package and manage it yourself. Snel.com present their packages in a very clear and easy to follow manner. They have thought of everything when it comes to hosting, from their impressive energy utilization and leading-edge tech hardware to the fact that they are there to help you with every aspect of your online business. 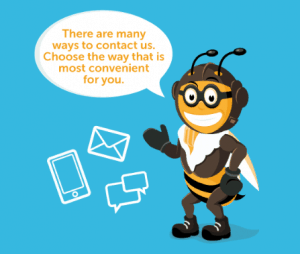 The packages are fully customizable and offer world-class features without the confusing jargon that often comes with hosting, This makes the whole job of hosting way easier. Snel customers have complete peace of mind, safe in the knowledge that they are hosting with experts who are available to support them at any point in their journey. If you are looking for a world-class hosting provider in the Netherlands, then Snel.com is the place to go!